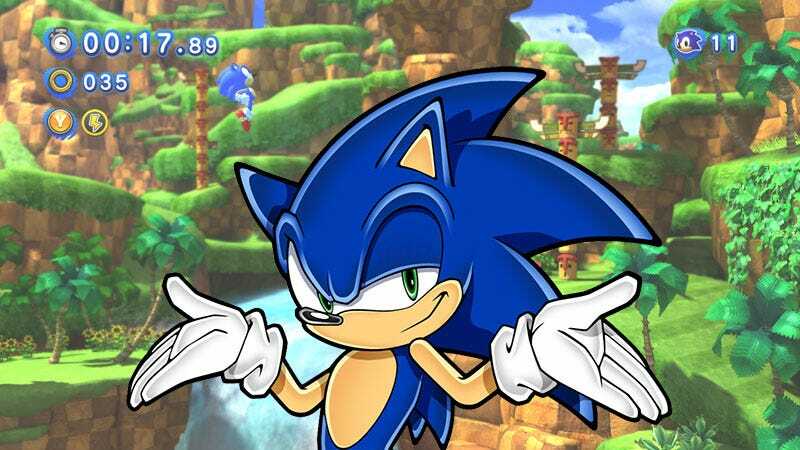 What Would Get You Excited About A New Sonic The Hedgehog Game? There’s a brand-new Sonic the Hedgehog game coming in 2017, with a reveal planned at a special event in San Diego next month. What could Sega show on July 22 that would get you excited about Sonic’s next outing? I’m not here to bash the Sonic the Hedgehog series. The past two and a half decades haven’t been the most consistent in terms of quality, but there’ve been some rather excellent attempts at recapturing the magic in recent years. Sonic Colors was an above-average out that was unfortunately tethered to the Wii (come on, PC re-release, HD remaster, something). Sonic Generations, combining the best of 2D and 3D Sonic games, is one of my favorite games in the franchise. Follow-ups to either of those titles would certainly get me excited, but Sonic Team lead Takashi Iizuka has said the developer is working on a completely new game, which would rule out either of those. Is that “completely new” exciting? I don’t know. On one hand, completely new gave us Sonic Colors. On the other, it gave us the utterly forgettable Lost World and Unleashed, the game brought us Sonic the Werehog and a heaping helping of regret. So what could be exciting? Seeing and playing Sonic is always nice—I’m grabbing a couple of the latest Olympic Games title this weekend just to hang out him—but word of a new Sonic-centric title just doesn’t do it for me. How about you? What could a new Sonic game bring to the table that would get you to stand up and take notice. A fantasy setting? Classic 2D gameplay? An entire school filled with Sonic’s friends to hang out with forever and ever? Mean-spirited Tweets? Tell us!